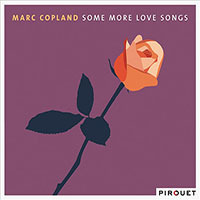 Pianist Marc Copland has been the focus of a recent spate of recordings on the German Pirouet label that focus on the traditional piano format. 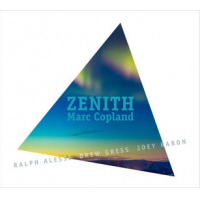 Another Place breaks form and expands the concept to a quartet setting, reuniting Copland with guitarist John Abercrombie, bassist Drew Gress and drummer Billy Hart, all previously heard together on Second Look (Savoy, 1996). 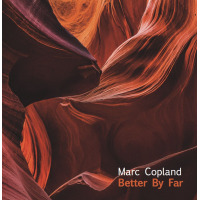 A dynamic soloist and composer of harmonically intricate works, Copland's aesthetic finds concordance in creative mainstream traditions, akin to the work of fellow pianists Bill Evans and Keith Jarrett. 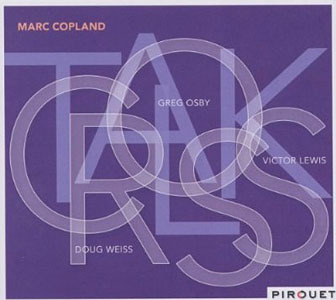 Long valued as a sideman, Copland's growing discography features numerous high profile collaborators, including David Liebman, Greg Osby, Gary Peacock and both Michael and Randy Brecker. 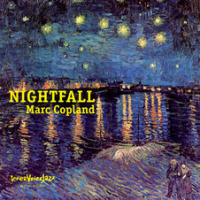 Introspective, with a casual approach towards swing and an undercurrent of simmering urgency, Copland and his seasoned collaborators revel in moody, cogent expressionism. 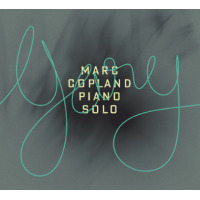 Unfolding with stately grace, yet imbued with the same subtle edge as his recordings on the adventurous Swiss label Hatology, Copland reveals an accessible, inventive lyricism that blends classic romanticism with populist inventions. An ethereal ambience settles over the session, aided by Abercrombie's gossamer guitar filigrees and Copland's shimmering chords and sophisticated arpeggios. 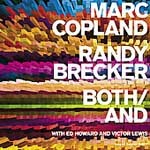 Veterans of the early seventies Loft Era, Copland and Abercrombie share a synchronous accord. Intermeshing seamlessly throughout the session, they wax lyrical on the regal "Like You" while ratcheting up the intensity level of Abercrombie's optimistic "River Bend," augmenting the pastoral anthem with faint dissonances and nuanced textures. Gress and Hart, both leaders in their own right, immerse themselves in their roles with an expansive sensitivity. Delicate and understated, they caress the soft-spoken melody of "Ballad in Two Keys" with a lightness of touch that flirts with the inaudible. Their surging interaction on the dramatically dynamic title track and the spry "Car Blue Lady" reveal their assertive potential, insinuating vibrant forward momentum with poise and restraint. Another Place is an exemplary effort filled with warm, effervescent lyricism, delivered with a patience uncommon in this fast-paced agea gorgeous recording. Track Listing: Like You; River Bend; Dark Horse; Car Blue Lady; Another Place; Ballad in Two Keys; Everything I Love. 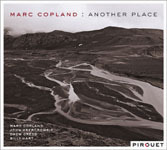 Personnel: Marc Copland: piano; John Abercrombie: guitar; Drew Gress: bass; Billy Hart: drums.